DRS Daylight Solutions is the leading provider of Quantum Cascade Laser (QCL) technology from laser sources to scientific instruments. This webinar series is dedicated to educating and supporting cutting-edge applications that benefit from the mid-IR “fingerprint” region. Since 2005, Daylight Solutions has been pioneering mid-infrared solutions using quantum cascade laser (QCL) technology. Thousands of Daylight lasers have been used in a wide range of commercial, defense, and scientific research applications. Learn how mid-IR lasers can be an advantage for your application. 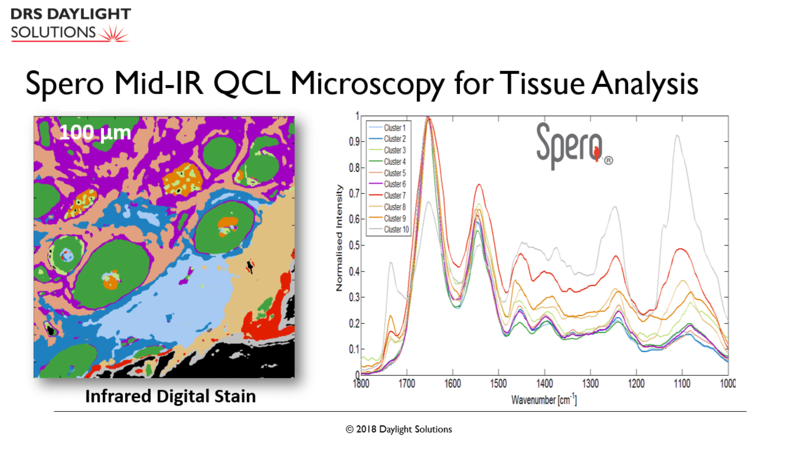 Join us to learn about the Spero-QT®, the second generation mid-IR QCL microscope that is bringing label-free, video rate hyperspectral imaging modalities to the Materials and Life Sciences. In this talk, we will present on the fundamentals of instrument operation followed by a discussion of several selected application examples including whole-slide quantitative tissue imaging, efficient optimization of plasmonic nano-antennae arrays, multiplexed blood serum testing, and real-time microfluidic chemical reaction monitoring. 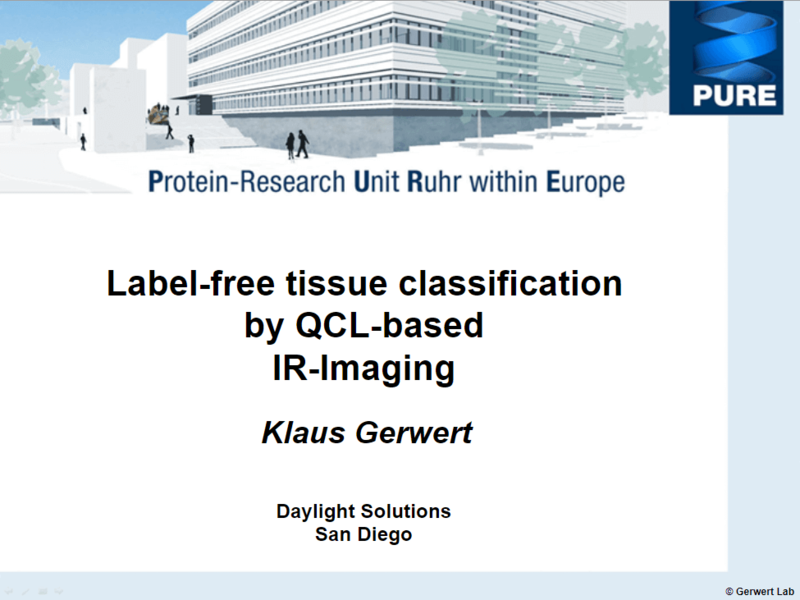 DRS Daylight Solutions is excited to present a webinar by Prof. Dr. Klaus Gerwert, Head of the Department of Biophysics and Founding Director of the Protein Diagnostics Institute at Ruhr University Bochum (Germany). 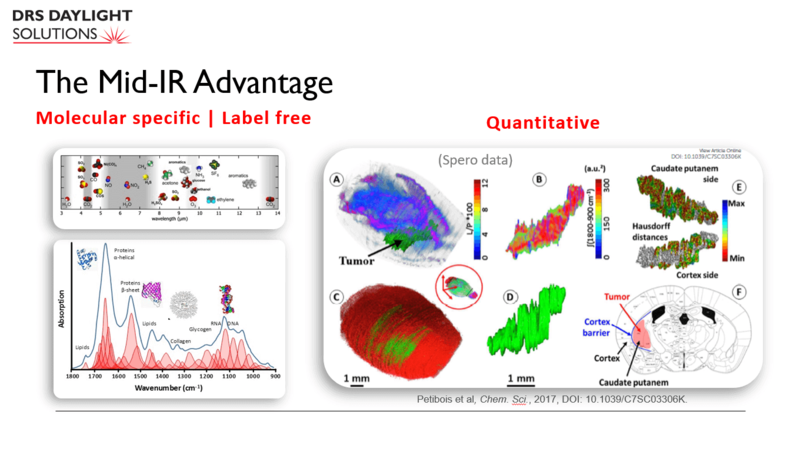 The webinar will showcase the power of combining high-speed, mid-IR imaging with advanced machine learning to perform automated characterization of cancer tissues on clinically relevant timescales. Join us to learn how this groundbreaking approach is revolutionizing the classical histopathology and omics workflows. Mid-IR absorption spectroscopy is a benchmark method for bioanalytics and diagnostics, as it provides exquisite biochemical information of biomolecules. However, retrieving Mid-IR absorption signatures still requires complex spectroscopic techniques, severely hindering its on-chip integration for a wide range of analytical, industrial and field-deployed applications. 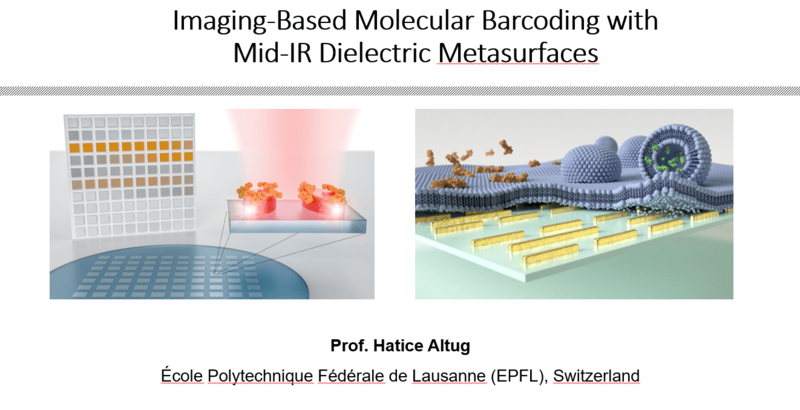 In this talk, Prof. Altug from EPFL will introduce a wide-field imaging-based nanophotonic method that is capable of detecting and analyzing molecules with high precision and without needing bulky equipment. The method which uses all-dielectric metasurfaces opens the door to large-scale, image-based detection of materials aided by artificial intelligence. 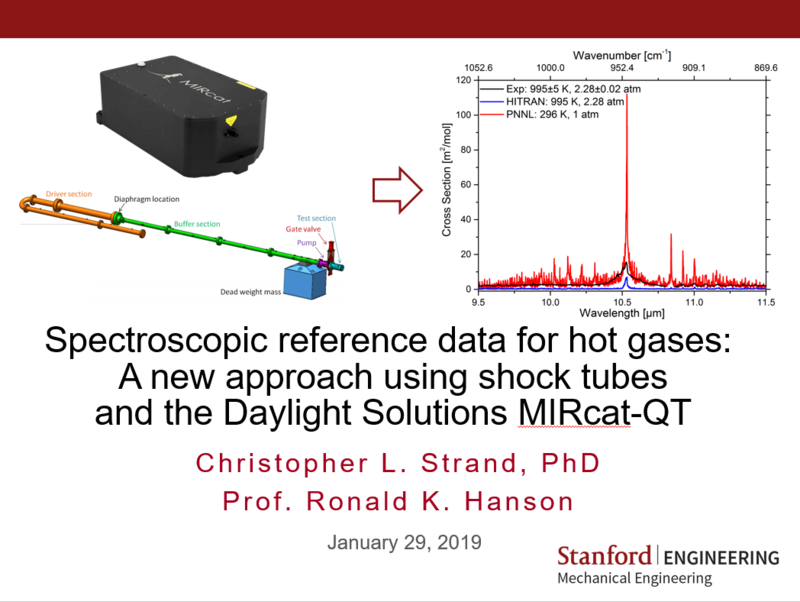 At Stanford University, the Hanson Group has recently developed a methodology using shock-heated test gases in conjunction with the rapid-tuning, broad-scan, narrow-linewidth lasers developed by Daylight Solutions to measure the high-temperature and high-pressure absorption cross-sections of molecules in the mid-infrared. Presently, the approach has been demonstrated for several short-chain alkenes and alcohols for conditions ranging from 800 to 1600 K and 1 to 5 atm. It is envisioned that this combination of technologies will enable the construction of a comprehensive mid-infrared molecular spectral database to temperatures and pressures as high as 10,000K and 1000 atm, respectively, and open new insights into a range of high-temperature and high-pressure environments. 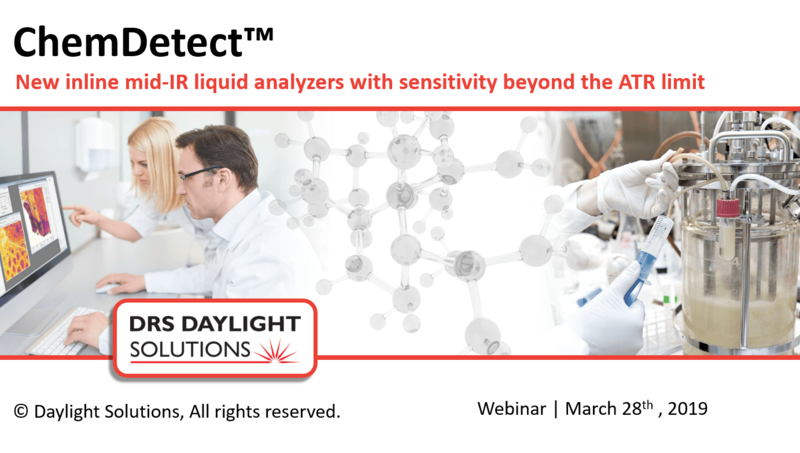 In this webinar, we will introduce an entirely new class of high-sensitivity inline mid-IR liquid analyzers. Based on ultra-high-brightness tunable quantum cascade lasers (QCL), these analyzers are enabling routine, quantitative chemical analysis with analyte sensitivities going well-beyond the FTIR-ATR limit. This new platform technology also offers fast (10 Hz) scan rates, a large dynamic range (> 104) and an ability to easily measure small sample volumes (< 10 μL). We will present the physical operating principles of these new analyzers and provide several application examples including their use in fractionated HPLC measurements and chemical and biologic reactor monitoring. ©2018 Daylight Solutions. All rights reserved.